The second quarter hour of the Mickey Mouse Club was given over to the show's regular cast, guest stars, circus acts, and assorted talent winners. Though it got off to a rocky start in the ratings this became the second-most popular part of the show. For better or worse, the kids who performed in it earned a special lifelong cachet among their peers. The hour-long shows of the first two seasons (1955-1957) were divided into quarter-hour blocks, called segments by production designers Bill Walsh and Hal Adelquist. Each of the four segments featured a different form of entertainment that would occur at the same time everyday. This was done both to comply with ABC's network marketing requirements, and to facilitate producing the show's first season. As each segment was independent of the others, they could be filmed in any sequence then assembled into completed shows later by the film editors. Each segment was a combination of original programming, recycled footage, and advertising. For the opening and closing segments, with their diversified material, recycled footage equaled twenty-five percent of the air time. 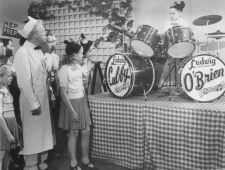 The Mouseketeer and Serial segments, which comprised only one or two types of features daily, had little reused footage and not coincidently remained the most popular parts of the show. When describing the Mickey Mouse Club the rotation of weekday themes often figures preeminently with writers. 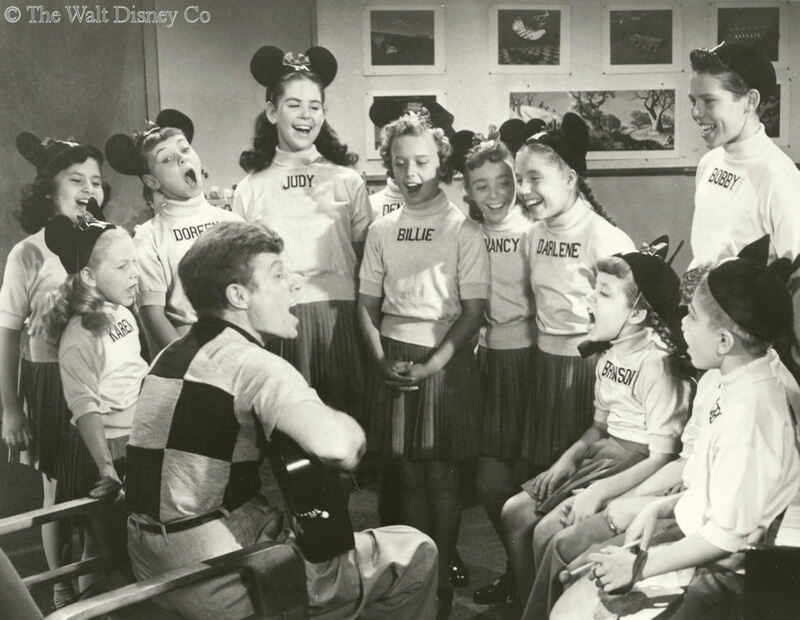 Aside from Mickey Mouse's brief introductions and sign-offs, this weekly round of Fun With Music Day, Guest Star Day, Anything Can Happen Day, Circus Day, and Talent Roundup Day all occurs within the Mouseketeer segment. The segment's strength was in giving the viewer a sense of lively immediacy, as opposed to the timeless faraway quality of the serials. 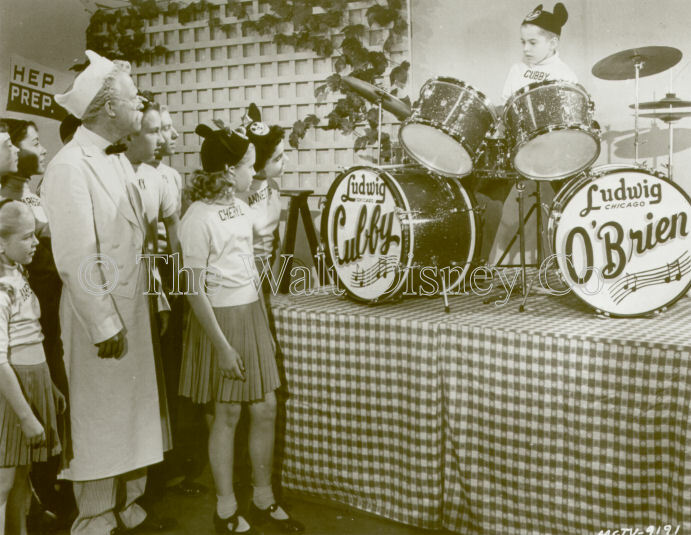 There was music, dancing, a wide variety of talented performances, and when the Mouseketeers were present the impression that this was the place for kids to be. 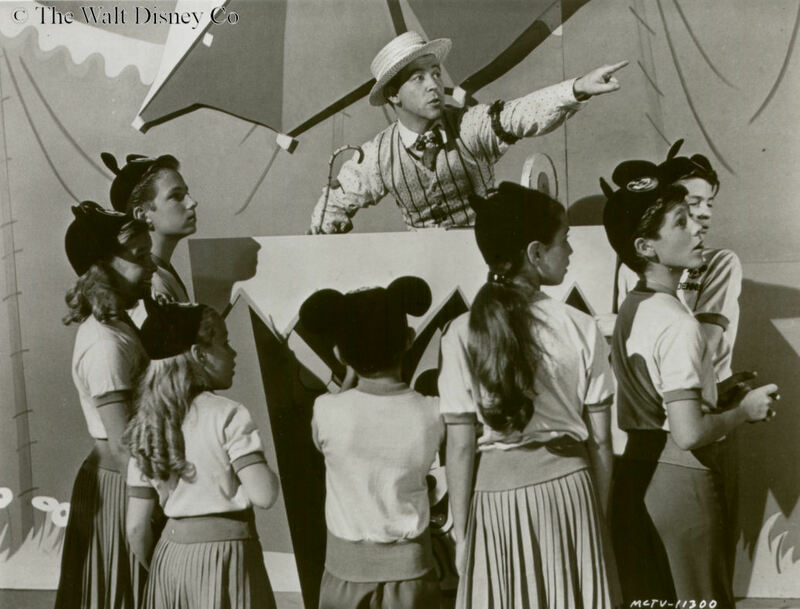 When encouraging theater owners to set up local Mickey Mouse Club chapters in 1930, Walt Disney observed that children have an instinct to band together in groups. Geography, social and physical, sometimes precludes this in real life, but the Mickey Mouse Club thru the medium of television could overcome these barriers. The heart of its appeal lay in presenting young viewers with a surrogate "gang" of electronic peers: cheerful, talented, and attractive performers, young enough so the kids watching could identify with and want to befriend them. The show's initial ensemble approach to presenting the Mouseketeers gradually gave way to the demands of fan mail and the unequal distribution of talent among the mice, but their strength would always lie in appearing as members of an exclusive but welcoming group. Though they appeared daily, the Mouseketeers had only Mondays to perform on their own. (Once or twice a season cross-over guests like talent winners Roberta Shore, Pamela Beaird, or Virginia Lee might show up to steal a little of the limelight.) Wednesdays were their secondary performing day; the storylines sometimes took them away from their musical variety roots, allowing a little more glimpse of their individual personalities, but could also feature outside performers. Second season Wednesdays also had two multi-part educational serials (Rookie Fireman, Fun with a Camera) that featured several of the Blue Team Mouseketeers. These serials were filmed without sound recording, the voice-over narrative being supplied afterwards. Third season Wednesdays meanwhile became "Annette Presents" day as the studio sought more ways to use her without staging expensive musical numbers. Tuesdays and Thursdays saw the mice acting in a supporting role for guest stars and circus acts, but all too often they were seen only in brief glimpses as an applauding audience. Fridays celebrated the talents of Mouseketeers almost as much as the Talent Winners themselves. Disney was the last film studio to maintain its own Music department. The quality of the Mickey Mouse Club's production values is most apparent in the music composed, arranged, and performed on the show during the Mouseketeer segment. 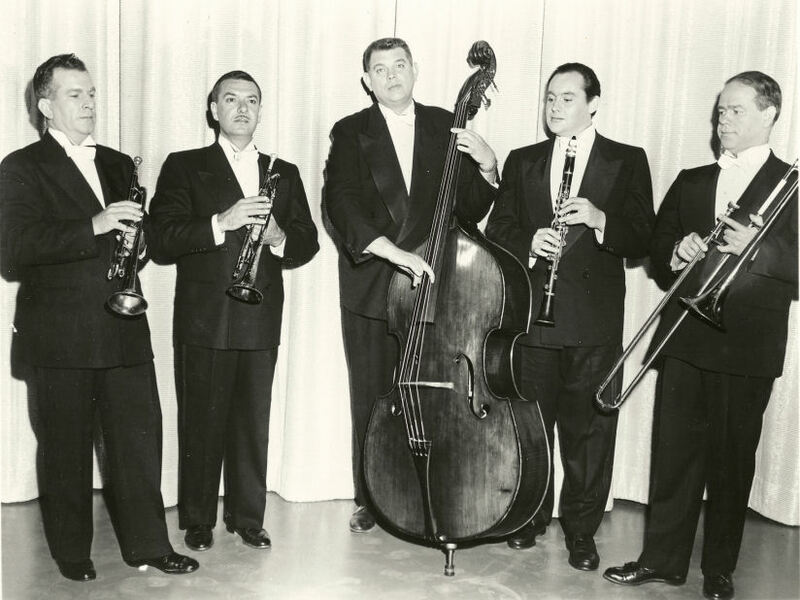 The members of the Music department consisted of classically trained composers such as Paul Smith and William Lava, popular musician-composers like George Bruns, Larry Orenstein and Jimmie Dodd, and lyricists like Tom Adair. (It also drew upon talented amateurs Gil George and Ruth Dodd for song lyrics). But the real secret to music quality on the show were the arrangements by Buddy Baker and department head Bob Jackman. Between them they scored original treatments for over three hundred thirty shows, from full-blown musical numbers for guest stars and Mouseketeers to incidental music for circus acts and talent winners. Buddy Baker in particular was a genius at making humdrum little tunes come alive with innovative treatments (Cooking with Minnie Mouse). The impact of the original compositions and recycled Disney tunes arranged by Baker and Jackman was enhanced by the musicians who were recorded live on the set as the performances were filmed for the first season. Buddy Baker and his select group of musicians even appeared on camera for a first season show (see videoclip). 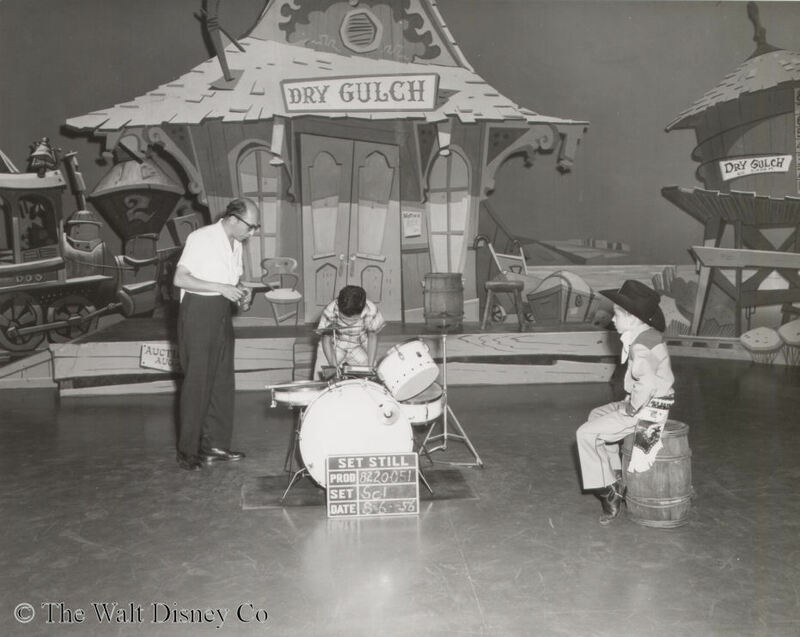 The live music was augmented as needed with a variety of amateur and professional talent, including members of the Disney Music Department, the stage crew, and other Disney Studio divisions. Some of these musicians were also members of the dixieland band Firehouse 5 + 2, which performed on-camera once each season. For later seasons musical accompaniment on the set dwindled to keyboards and a percussionist with sound mixing used during editing to provide a full orchestra effect. According to Ben Ohmart's biography of Buddy Baker, the arranger suggested this move to provide a cleaner ending for the musical accompaniment which was being drowned out by the kids clapping and cheering. Perhaps nowhere else on the show was the role of director so important as in the Mouseketeer segment. 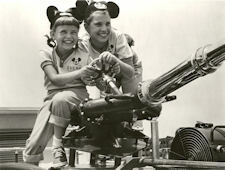 While the producers sought a bland uniform style from the serial directors, the two guys responsible for most of the Mouseketeer sequences were allowed to let their widely different approaches to filming appear on screen. Dik Darley, the soft-spoken first season director, was more action-orientated than Sid Miller, a perfectionist who emphasized performance quality during his tenure. Darley sought to capture the main action described by the storyline, but tended to let events on the periphery handle themselves. Thus first season numbers often have inadvertent occurrences as things don't go as planned and the kids either react spontaneously or improvise. (This was partly due to the time constraints under which first season filming operated). You see nothing spontaneous or improvised under Miller's direction; everything is well-rehearsed and tightly controlled, and if it wasn't performed just so they'd all have to do re-takes until it was. Miller was also an extrovert who threw himself into several scenes, something Dik Darley never did. 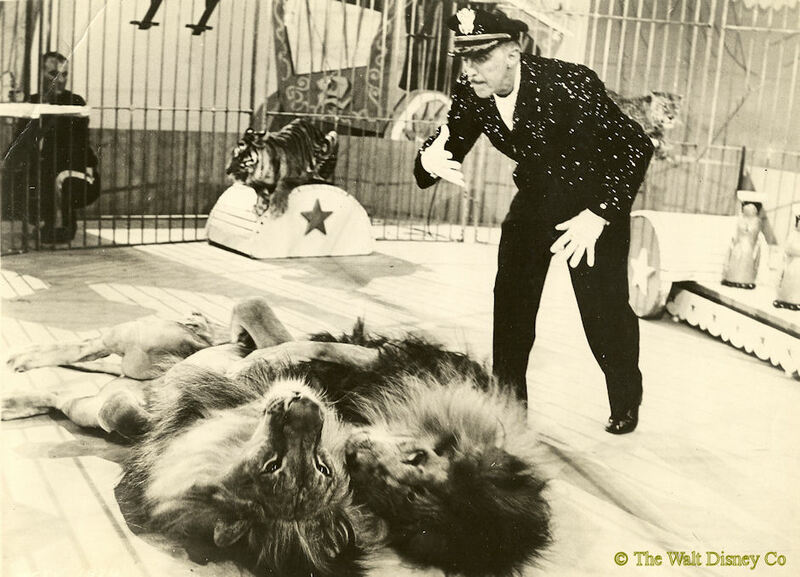 The third principal director was William Beaudine, who handled not only serials but also the vast majority of Circus Day shows during the first two seasons. Guest Star Days were also supposed to have their own director, but Jonathan Lucas quit the show after only a few months, and his responsibilities were thereafter handled by Dik Darley and Sid Miller. 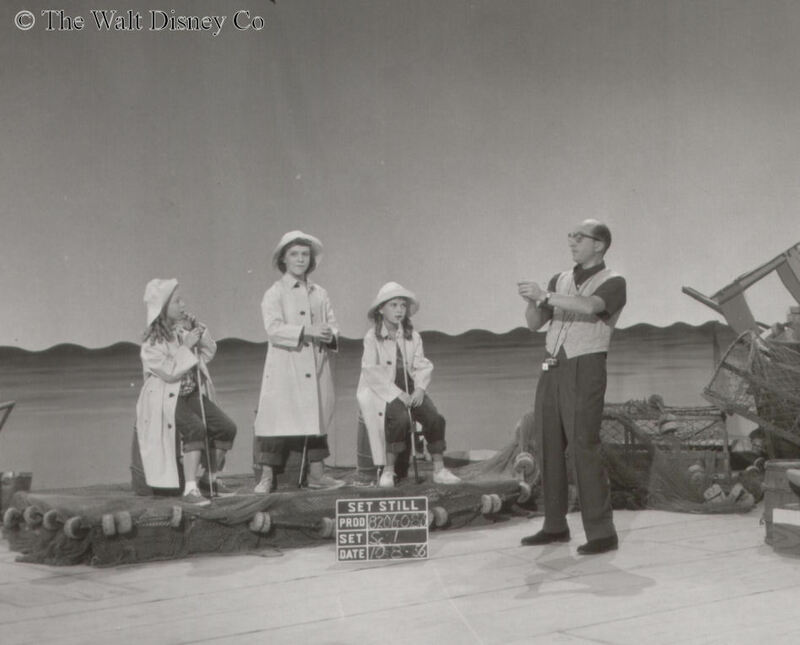 There were also several short-term directors who handled one or two Mouseketeer segments per season during the shows third year. The Mouseketeers had two choreographers, Burch Mann for the first season, and Tom Mahoney for later years. It's hard to imagine two more disparate individuals than the grim-featured lady and the puckish Mahoney, and the dance styles they created for the show were also poles apart. Burch favored character and story driven numbers that involved dancers of different skill levels, while Mahoney, in keeping with Sid Miller's directorial philosophy, devised dances with three or four stellar couples as the main focus. Burch Mann's storytelling style was a strength for first season numbers, which were standalone bits with little or no dialogue. The dancing had to carry the storyline for those songs without a narrative to guide the younger viewers. 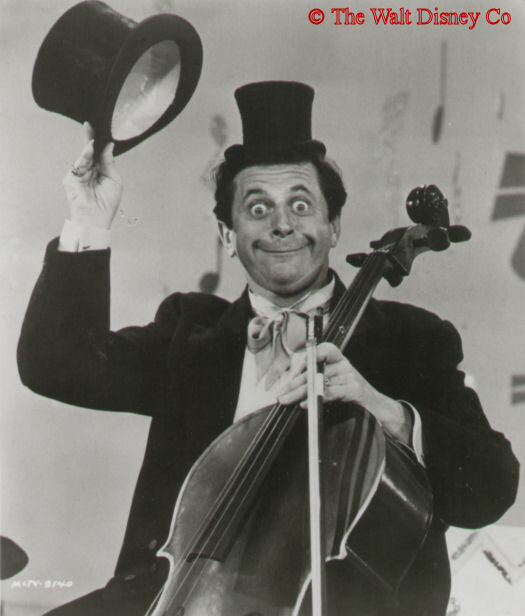 For the later seasons, the skit format in which numbers were presented relieved choreographer Mahoney of having to present character dances. With the show's target audience shifting to slightly older kids he could also throw more jazzy and contemporary dances into the mix. Its interesting to note how the choreographers mirrored their directors in on-camera performances, with Tom Mahoney, like Sid Miller, appearing on camera a half-dozen times, while Burch Mann never did. Both choreographers have their supporters and detractors among the Mouseketeers, who were after all primarily dancers. 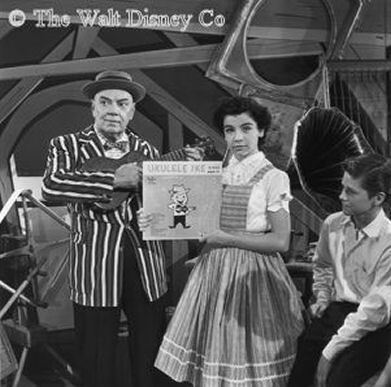 Tuesday was Guest Star Day on the Mouseketeer segment during the first two seasons. Guest stars were, with few exceptions, adults of whom more than a third were associated with the Disney Studio in one capacity or another. First season guest stars were primarily singers and actors, often with Disney voice credits. The Mouseketeers sometimes had elaborate introduction bits for these guests, as well as forming a live audience and occasionally performing with them. Guest stars could also appear on Wednesdays for Anything Can Happen Day; some of them indeed appeared on both days (Firehouse 5 + 2, Robert Lamouret) while others had multiple guest star appearances (Cliff Edwards, Wally Boag). During the second season guest star acts expanded to include acrobats, dancers, and both roller and ice skaters. 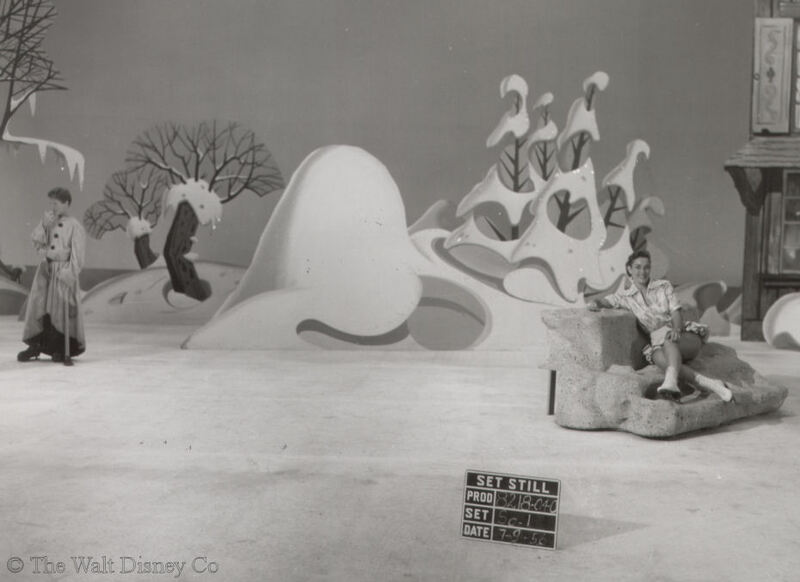 The Disney property department went to some lengths with the latter, laying down an ice rink inside one of the sound stages and constructing Alpine chalet sets. Although the passive audience role was the norm for Mouseketeers in support of guest stars, there were some spectacular exceptions. 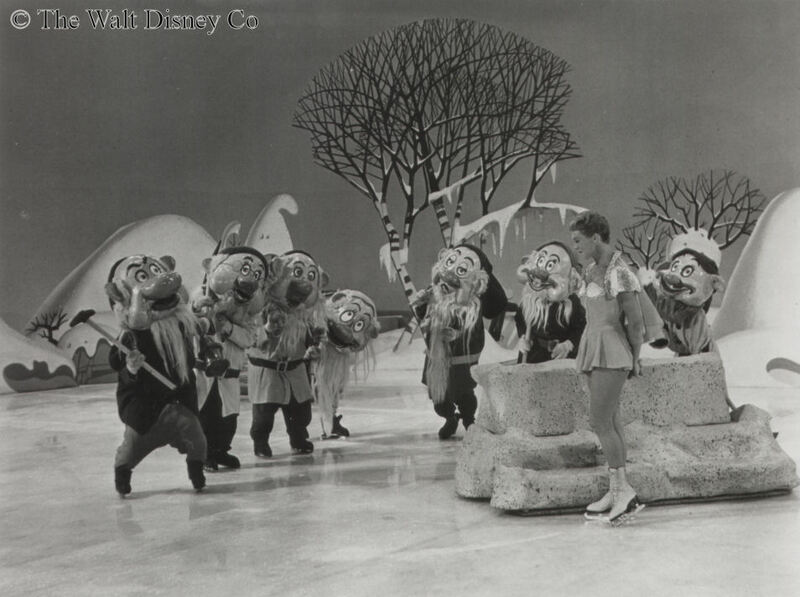 The Mouseketeers got to join in for an ice-skating treatment of Snow White (Donna Atwood) in which they skated while wearing plaster heads of the Seven Dwarfs. On another occasion six mice did some terrific dancing to fast-paced 1920's numbers by Ukulele Ike (Cliff Edwards), while for Judy Canova's guest star appearance the Mouseketeers performed several full-blown song and dance numbers with her. There were only a handful of third season guest stars, most of them actors appearing in Disney productions. They were more likely to pop-up on Wednesdays, to be introduced by Annette, than on Tuesdays. Two of these guest star acts were large groups: the Van Nuys HS ROTC squad and the Oberkirchen Children's Choir from Germany. Thursdays were Circus Day during the Mouseketeer segment. 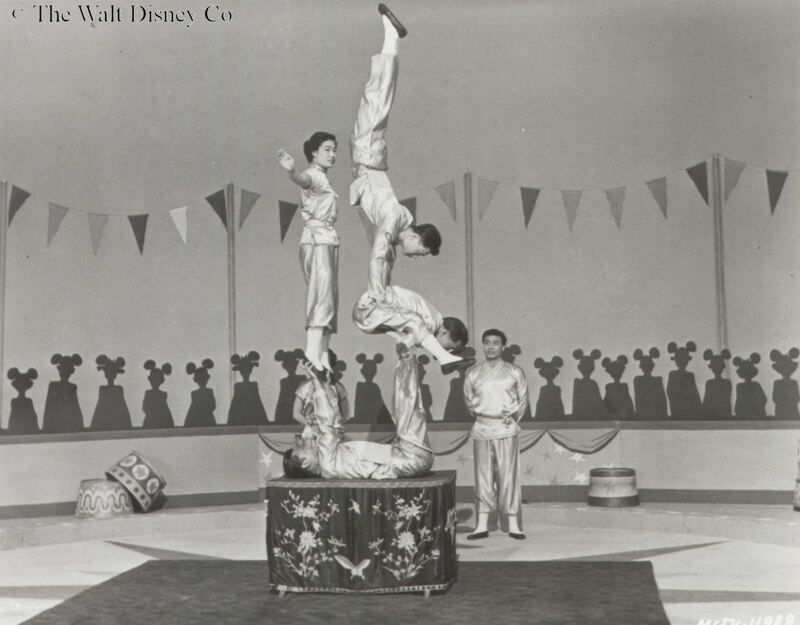 Only thirty-eight circus acts appeared on the Mickey Mouse Club during the first two seasons; the concept was abandoned by the third season due to the expense involved. To fill out the broadcast schedule a number of the acts filmed performances were split into two or three parts. Only twelve of the acts used animals, the rest were acrobats, tumblers, jugglers, magicians, and a few oddities that defied categorization. There was less scope for the Mouseketeers to interact with the animal acts than the tumblers and such. The kids learned that chimpanzees can be rather ill-behaved when not doing their tricks; one particular troupe used to creep out little Karen by continually leering at her. The chimps however were generally entertaining on camera; not so the seal acts (there were two of them) who managed to be demeaning to both the animals and the Mouseketeers directed to clap their "flippers" and bark along with them. You almost expected to see the trainer toss sardines to the kids. Circus acts did not generally translate well to the small screen. 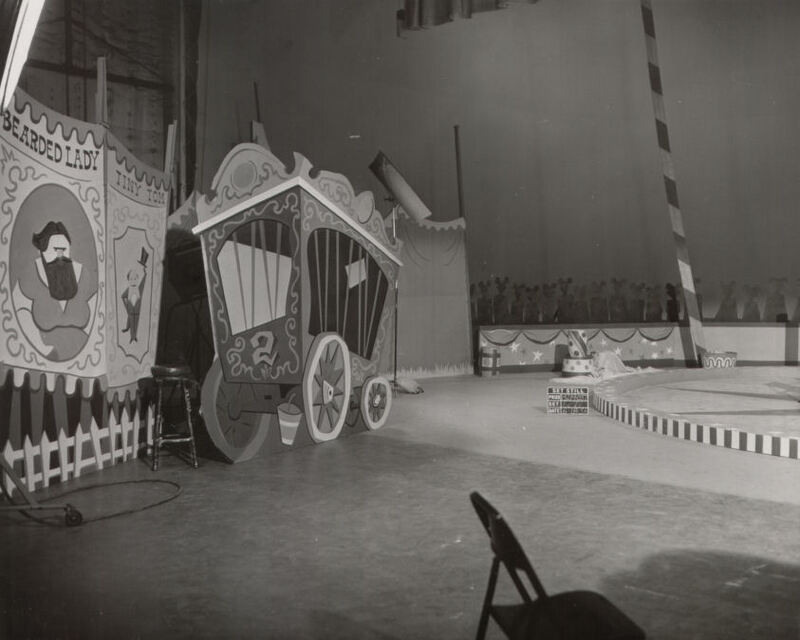 The appeal of the circus was its atmosphere and continual variety of performances, but on the Mickey Mouse Club there was only the one act per week, with none of the trappings that evoked the circus experience. The circus acts themselves, used to live audiences and shorter performance times, were sometimes at a loss as to how to fill the ten minutes of filmed action expected of them. There were several acts that did work well within the limitations of television. One of these was a one-man juggling act from India (Kumar Pallana) who astonished the Mouseketeers by his skill. 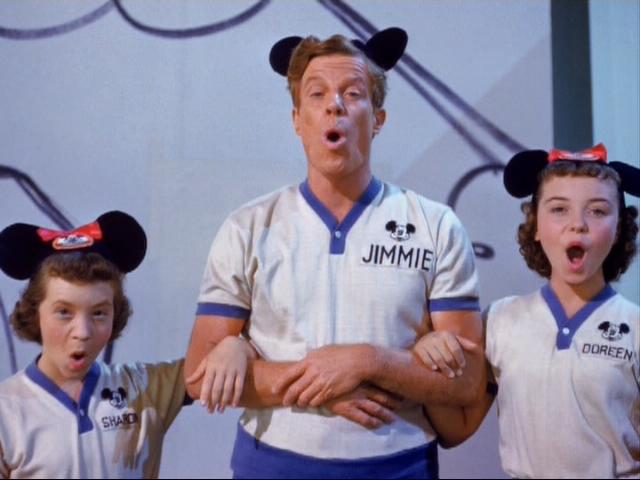 The Ted DeWayne Acrobats made excellent use of the Mouseketeers in their act. 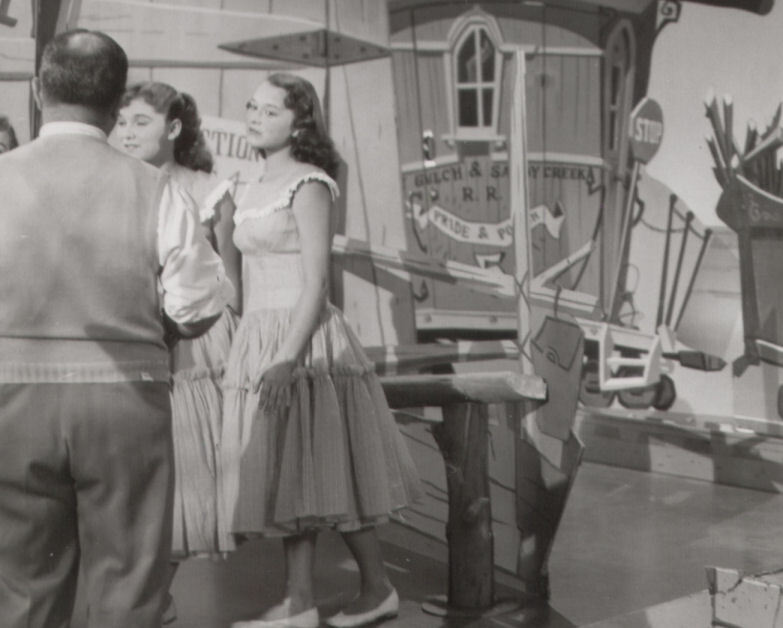 (Ted DeWayne was also employed to coordinate acts for the short-lived Mickey Mouse Club Circus at Disneyland). So did the Sullivans, with Jim Sullivan teaching Bobby Burgess how to ride the unicycle. At least one circus act appeared on Talent Roundup Day instead of the usual Thursday show. The Sing Lee acrobats used some kids in their family act, which apparently prompted the switch. Pansy, the costume horse act, appeared both on Circus Day and later in a Fun with Music skit called "Hayride". Talent Roundup Day was always on Fridays during the Mouseketeer segment. The term used on the show for guests appearing this day was either "the talent" or "talent winner", as used on this website. This term covered a lot of ground, covering both adult guests and Mouseketeers, as well as the kids who actually competed to be on the show. For the first season, the talent was recruited by general coordinator Hal Adelquist with the help of casting directors Lee Traver and Jack Lavin. 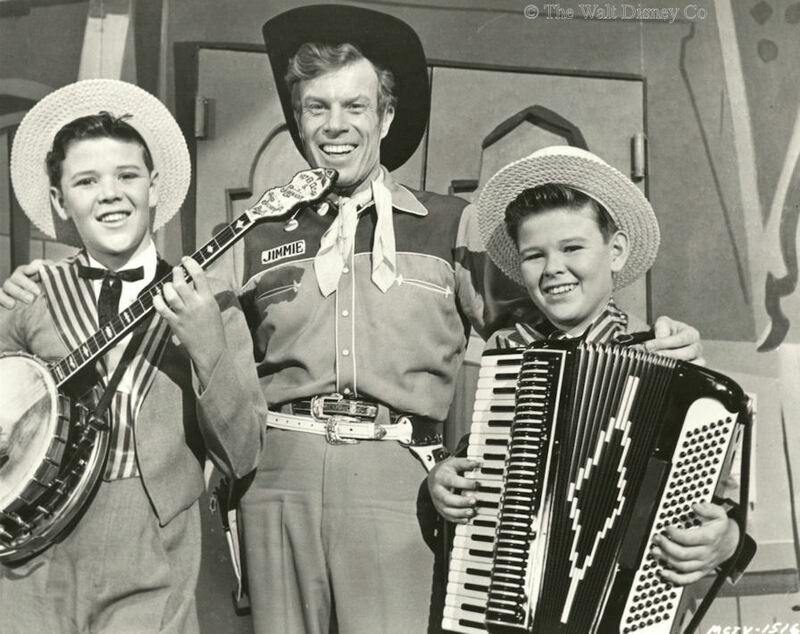 They picked several kids from among the also-rans for the Mouseketeer auditions, and selected others from the ranks of professional and semi-professional juvenile acts in the Los Angeles area. The remainder of the schedule was filled out with Disney actors and musicians, Mouseketeers and their relatives, and a few young athletes. Not until the second season was a full-blown national talent search launched by the Disney Studio, working with sponsors around the country. Department stores in particular helped stage regional competitions, which resulted in about one-third the winners appearing on camera that season being flown out to Burbank from the East Coast and Midwest. Even with half the tab being picked up the co-sponsor this was an expensive affair for the studio. For the third season, talent winners were once again largely recruited locally. Though many of the winners were talented performers, they seldom got to exhibit the full range of their abilities or match the on-camera antics of the Mouseketeers, who often seemed to overwhelm their visitors. As one talent winner related "it was more about them congratulating the winner and presenting that person with their golden mouse ears, cowboy hat and certificate." There were some notable exceptions though; the Lennon Sisters and Roberta Shore were more than a match for the mice in performance charisma. And one girl who auditioned for the third season contest, Bonnie Lynn Fields, became the only Mouseketeer recruited from the ranks of the talent winners.